Can you name the Baptist pastor who served one church for over 50 years, and left us a marvelous testimony of his faith? 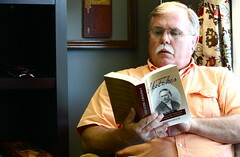 Did you know that a famous Baptist wrote a book similar to The Pilgrim’s Progress, and that it was also a best seller? Who was the young Baptist pastor who dedicated himself to missions only to be prevented from going? What foreign missionary became a Baptist, while on his way to the mission field, through careful study of Scripture? You will find the answers to these questions by spending 2010 in the company of 11 classic Baptist books (July and August are combined). We are pleased to announce A Year with Baptist Classics a reading program designed to encourage worship of our great God, to help Christians grow in their faith, and to introduce outstanding books and authors from Baptist history. By reading one book each month, you will be deeply blessed, have a greater understanding of the Christian life, and learn of the Lord’s kind dealings with others. 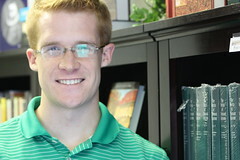 Solid Ground Christian Books is working together with Dr. James Renihan, Professor at The Institute of Reformed Baptist Studies, in Escondido, California to encourage the brethren to take a year to read eleven books from those committed to the Doctrines of Grace and the Baptist Faith. We are offering at least a 40% Discount off each of the eleven titles, and a 55% discount off the entire Baptist Classics Pack when ordered together. January – Benjamin Keach The Travels of True Godliness This is a work, written in the style of The Pilgrim’s Progress, tracing the growth, struggles and temptations faced by ‘True Godliness.’ It is an enjoyable journey depicting the path of growth in holiness. February – Andrew Fuller: A Heart for Missions (Pearce Bio) One of the best Christian biographies ever written! Samuel Pearce was the Baptist version of Robert Murray McCheyne–a young pastor known for godliness and zeal whose life was brief but impact was profound. March – Hercules Collins Devoted to the Service of the Temple A mighty man of God, Hercules Collins was a pastor of a very large London Congregation during the 17th century. This little book very helpfully collects some of his wonderful doctrinal and devotional writings. April – Adoniram Judson On Christan Baptism The Congregational Missionary Society was shocked when its first missionary, Adoniram Judson, adopted credobaptist views while on his way to serve in India. In this book, Judson demonstrates the nature of Christian baptism. May – Southern Baptist Sermons on Sovereignty and Responsibility American Baptist history is full of great preachers. Here is a collection of sermons by Southern worthies, expounding vital topics. June – John Broadus: Jesus of Nazareth Our Lord Jesus is wonderfully presented by another great Southern preacher, John Broadus. July/August – Benjamin Beddome’s Exposition of the Baptist Catechism Here is a gem, long out of print, but recently reprinted. Theology is made practical by this pastor from the village of Bourton-on-the-Water in the English Cotswolds. September – Andrew Fuller: The Backslider Christians struggle with sin–this is a fact. We need to consider this truth, learn about its dangers, and find the right method of recovery. This book will help. October – John Bunyan: Come and Welcome to Jesus Christ We can’t neglect Bunyan! In this book, he calls us to find our full satisfaction in Jesus Christ. November – Benjamin Keach: The Marrow of True Justification We live in a day when the doctrine of justification by faith alone is under attack. One of our fathers, Benjamin Keach, ably explains this doctrine here. This is the heart of the gospel. December – Charles Spurgeon: Sermons on Men or Women of the Bible What a great way to conclude the year! As always, Spurgeon shows us how the men and women of the Bible point us to Jesus Christ. Join us in 2010 as we learn from these servants of our Lord Jesus Christ.